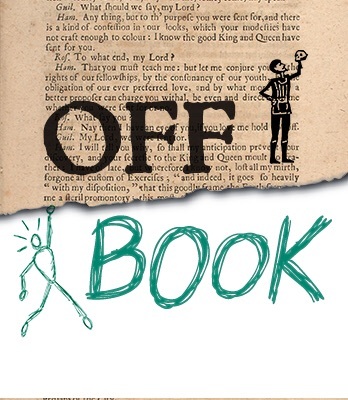 Next weekend I will be performing for the very first time at a unique improv performance called Off-Book, where the scenes are performed by one actor who is off-book, and one who has no clue what the hell is going on. I will be the off-book person, so I have some memorizing to do this week! Half-scripted, full speed ahead. It is every actor’s nightmare: getting thrown on stage to perform a play you’ve never read. That’s also the premise of Off Book. We have an actor memorize a script, then send them on stage with an improviser who has no idea what’s going on. Then we sit back and watch the magic happen. A long-time HUGE Theater favorite, adapted with permission from Upright Citizen Brigade’s Gravid Water.